Visionary, sustained, ambitious and multi faceted project enduring nearly thirty years to eliminate polio. A successful end may be in sight. In rural south east Ghana where the climate is tropical, hot and humid, there is an abundance of water, hardly any of which is safe. For a quick digest of some recent Cavalcade items - 'Cavalcade Compact'. Does your charity have a pet project that needs support?? 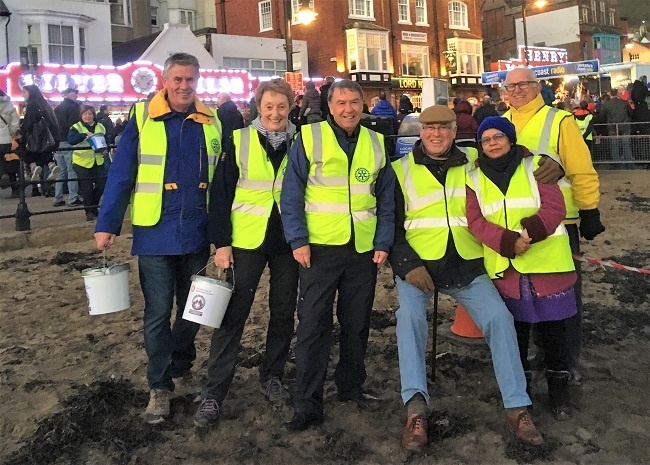 Scarborough Cavaliers Rotary are on the lookout for a local cause that could do with a helping hand, perhaps to get it off the ground – maybe some funding, or extra manpower or specialist expertise. We are looking to gather outline information from local Charites about possible projects by 1st July 2019. We will get to understand a little more about the potential projects during July 2019 and invite selected ones to a brief informal presentation at the end of July, with a view to working with you during the year July 2019 to June 2020. We do not need an overbearing amount of paperwork – for now let us know your Charity name/details; contact name – including telephone and email; project title/name (if known) and target beneficiaries. See more of what we are about below. 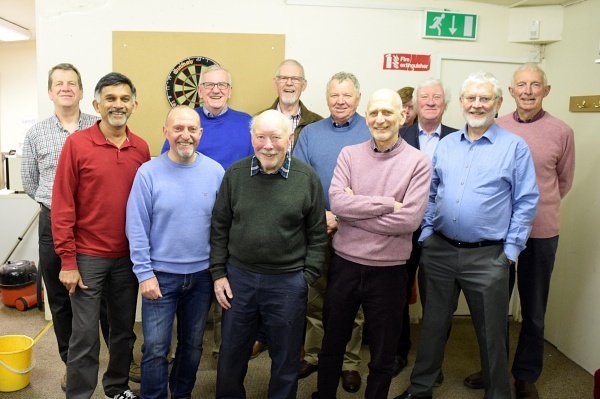 Eleven members of the club and one sibling headed down to 3 West Parade Road on Wednesday, March 13 for an evening at the Scarborough & District Rifle Club. 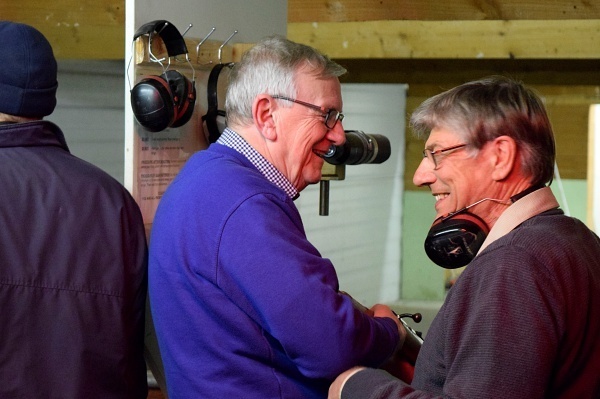 Having registered at the club to satisfy licensing regulations for gun clubs, the life President of the rifle club Gordon Kipps explained the format of the evening. He went on to demonstrate the rifle we would be firing and gave us some very useful tips on how to hit the target. So without no further a do the twelve of us split into 3 details of 4 people. 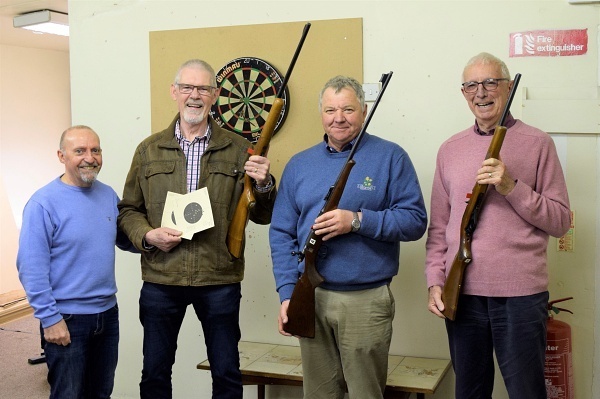 Group 1 consisting of Alan Campbell, Roger Chapman, Richard Creasey and David Francis proceeded through to the rifle range to take their first 10 shots at the target 20 yards away. 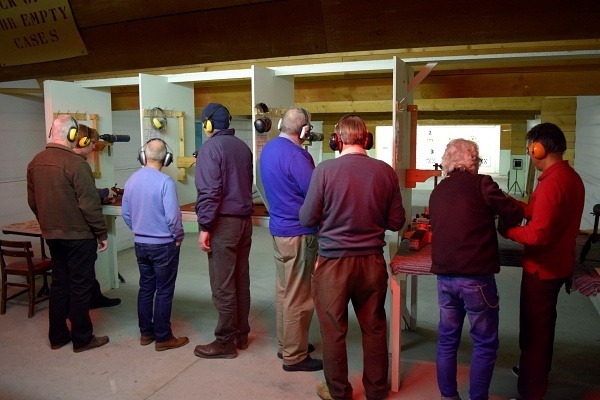 The safety side of the operation is clearly of paramount importance to the club; so each of us had an experienced rifle club member as our tutor. Whilst the remaining club members awaited their turn to shoot, the rifle club had laid on a light buffet and some members brought along their own beer. Group 2 was Mike Kent, George McIntyre, Geoff Mountfield and Max Mortimer, David`s son with group 3 having Venkatesh, John Walker, Mike Wilkinson and Max taking a second round of shots for his dad. There was then a 10 minute break before the second round of shots took place to allow Rotarians to share their views of for what was the first time they had fired a loaded gun. The groups kept the same format for round 2, with many of the Cavaliers doing better with their final 10 shots. Finally when the shooting had concluded there was only time to check the targets and award the prizes for best overall shooter, runner up and thirdly best trier. 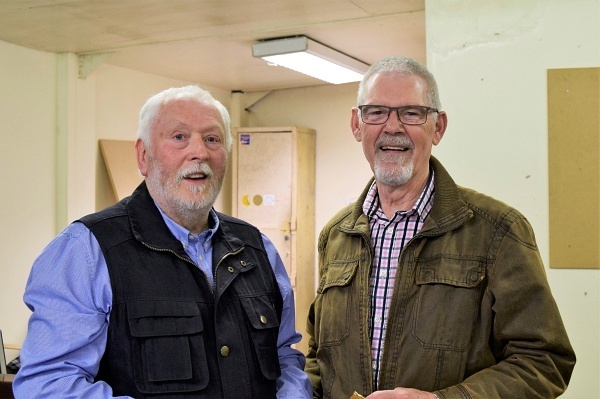 So the results were announced by Gordon the rifle club President with Roger Chapman running away with the first prize having scored 151 – a tremendous score. March 7 to 9 to raise funds for the RAINBOW CENTRE. Well done all donors of prizes and volunteer staff looking after the charitable efforts. 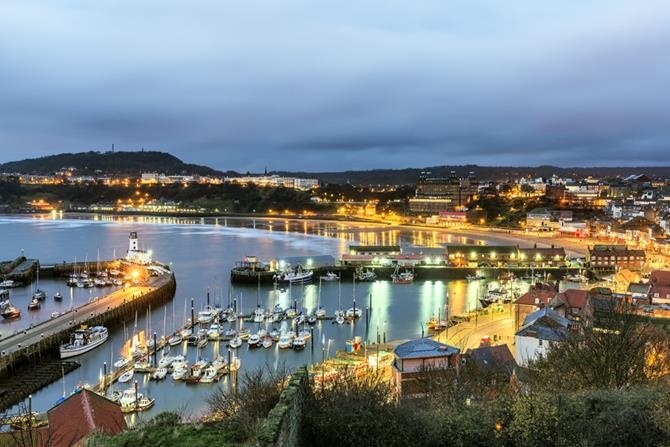 RIBI (Rotary International Britain Ireland) Technology Tournament competition for young people has been one of the most popular days out for the students of the Scarborough Rotary 1040 District for the past few years. Rotary Cavaliers Tony Stevens, John Dudley, John Walker, Sam and Roger volunteered to assist as judges again at this years event. The object of the tournament is to give students an unseen design and technology problem to be completed in a fixed time. The task also conforms to the national curriculum. The problem-solving environment enables students to develop their team building and communication skills. Also, the technology tournament is eligible for the Engineering Crest award. Technology tournaments held annually is a day out for teams of students with an interest in engineering, design, technology and science, to design and build a solution to an unseen technical task within a specific time frame. The teams need to have good communication skills, be well organised and able to show the stages of development of their task solution in a design portfolio. Each teams solution as a working model is competitively tested and assessed by a team of judges. Recognition is given to the winning teams in each of three age categories. There were 15 competing teams at this years tournament. The task set this year was to build a structure with a bill board to include a logo/picture of their school with a flashing beacon above. They were each given a selection of materials to complete the task including 10mm square wood, some baking foil, a bulb and bulb holder, electrical wire and a selection of cardboard, and fixings. Scarborough Rotary club organised the event which included an award given by Liz Curry, The Paul Curry Award. The clubs President, Ian Holland opened the preceding’s and together with The Mayor, Joe Plant, presented the awards to the winners of the competition. School/Colleges represented this year were, Foundation: Graham School, and St Augustine’s, Intermediate: Scalby School and Scarborough UTC. Advanced: Derwent Training Malton, Scarborough TEC and Scarborough UTC. Foundation: St Augustine’s A, Intermediate: Scarborough UTC A and Advanced: Scarborough UTC. The Overall winners of The Paul Curry Award were Scarborough UTC A. 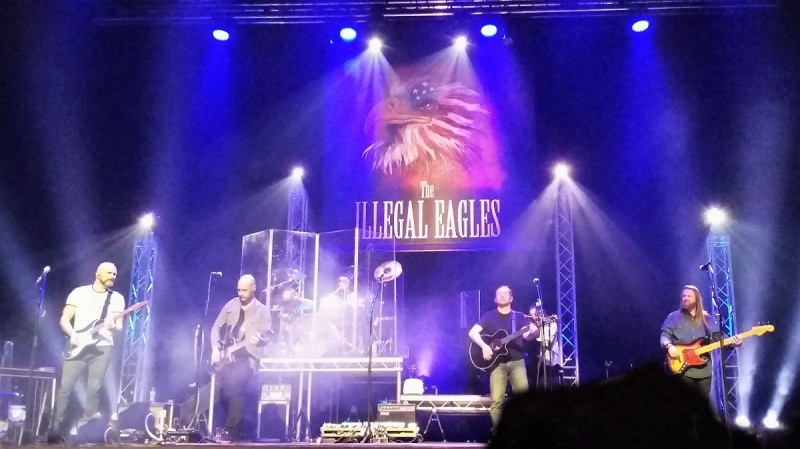 The 2019 fellowship year began with a trip to the Spa Complex for 22 of the club`s members and partners to watch the Illegal Eagles, one of the UK`s top touring productions. The evening began with a 2- course meal in the Spa`s Sun Court Suite before moving into a packed Grand Hall for the gig. The tribute band make annual visits to Scarborough, with The Express newspaper describing their performances as “flawless”. 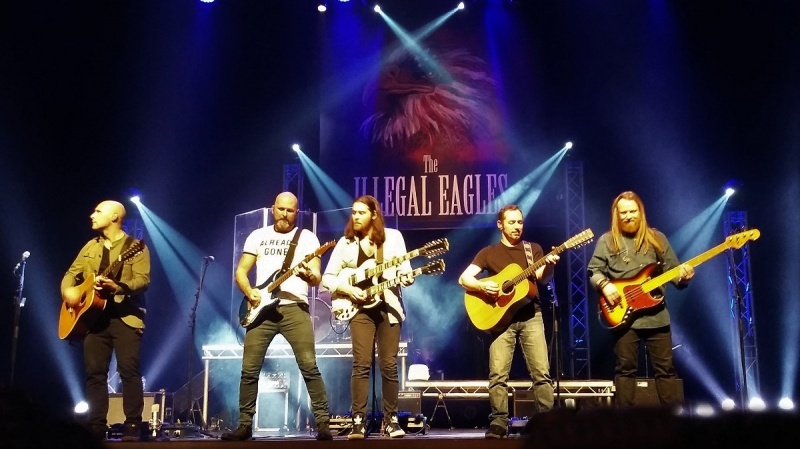 The Illegal Eagles are internationally renowned for their outstanding ability to recreate the Eagles` distinctive sound with both flare and incredible authenticity and they began by playing “One of these Nights”. 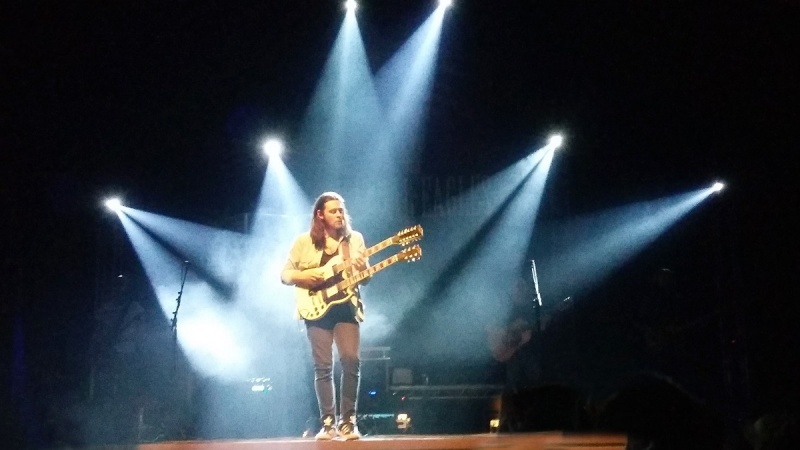 The audience were soon treated to stunning vocals, tight harmonies and awesome guitar riffs as they performed more of the Eagles classic hits, including Take it to the Limit, Lyin` Eyes, Desperado and Take it Easy. Following the interval they cranked up the volume with some rock and roll and the audience getting more involved by clapping and dancing in the aisles. After a 2 hour set they walked off stage and came back to a standing ovation to sing the ballad “The Last Resort” one of Glenn Frey and Don Henley`s best songs. But that was not the end of the concert as they had not played “Hotel California” and the fans knew it and clapped for more. Eventually the band delivered an outstanding version of the song with the lead guitarist playing a double neck guitar. At the end of the evening there was no doubt that “The Eagles” famous harmonies had been sublimely replicated and the Cavaliers had been admirably entertained – bring on the next fellowship event! At our meeting on Wednesday 16 January, three members gave the club an insight into their conclusions on where they think the limited International funding would be best invested. Venkatesh, John Walker and Ramaswamy (Sam) gave a very interesting presentation including a slideshow, of needy communities in rural India. Following a visit to the country, Venkatesh introduced a school in danger of collapse which would end the education of nearly 200 children and the problems of suppling clean drinking water to these remote villages. Several questions from the audience were answered by the team. An excellent presentation, thank you to the trio. Sue Harris, Pickering Rotary President and Ian Holland, Scarborough Rotary President. The clubs year kicked off with a talk from Trish Kinsella, Rainbow Centre Manager and Keith Revell, a Trustee outlining the story behind this social action project. Apparently, it all began 23 years ago when the local vicar Bob Jackson wanted to help homeless people in the town and decided to set up the Rainbow Centre. In the early days the centre would handle 1 or 2 homeless people a week offering meal tickets, now it has 2,100 clients with 365 new clients added in 2018. Trish, bred and born in Scarborough, started at the centre as a volunteer co-ordinator rising to deputy manager, then being appointed to the manager’s position 19 years ago. When she started she would see 8/9 people in a typical day but now it is not uncommon to handle 80/90 people a day. She estimates that there are 11 homeless people on the streets of the town now, based on the fact Rainbow staff are out weekly making sure they have food and dry clothes. 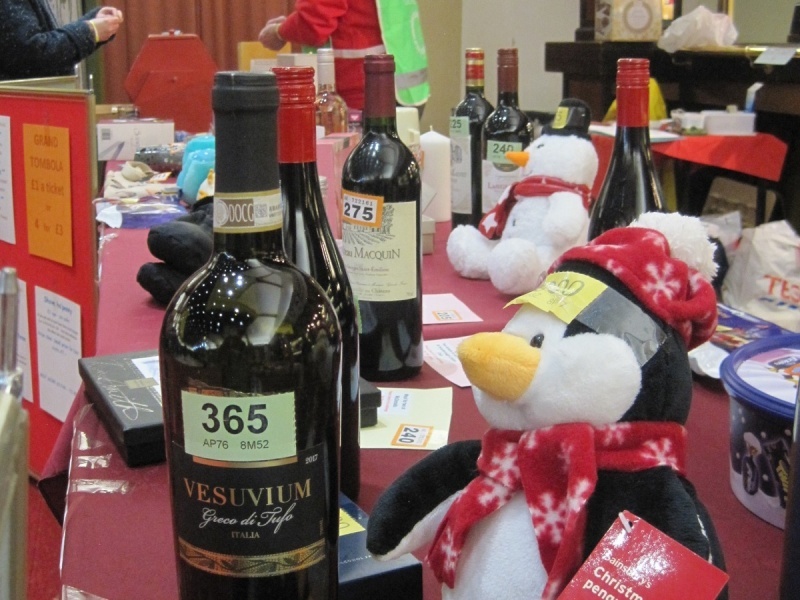 Over the festive period this year they made up 900 food parcels and handed out 400 Christmas presents to local children. She thanked Mark Shields for arranging a trolley to be placed in a local supermarket in the run up to Christmas asking customers to donate food and gifts, which was later doubled by the Aldi supermarket chain. Whilst the centre was originally established to offer practical support to Castle Ward – an area of the town designated as an urban priority – it now aims to assist a range of community members, including the homeless, families in crisis, as well as individuals facing challenges due to substance misuse, poverty or returning from prison. It still has a strong church base, but Trish stressed Rainbow is not about being a crouch. This is borne out by the fact that ninety-two percent of the centres clients only end up with no more than 5 contacts for help. The centre has seen a growth in recent years of single men, aged 35-50, arriving at their door. These are men who have lost their partner and as Trish describes them, they simply “walk”. 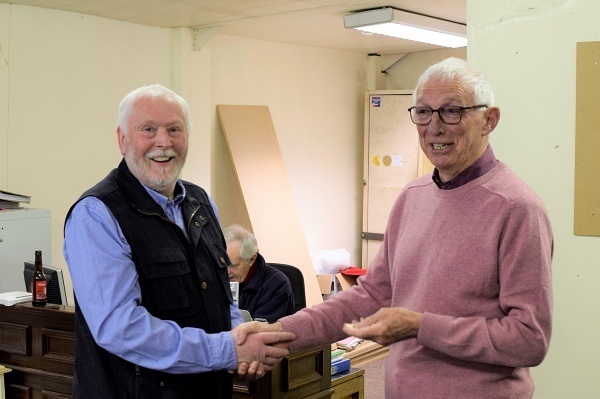 Keith, who has been a Trustee for the past 12 years, explained that the centre’s annual budget is £100,000 and they are tremendously reliant on donations, as they do not receive much core funding. They are currently making plans to re-launch the centres well-wishers scheme and are reviewing the skill set of their Trustees, making the point that it not always about giving money that can help Rainbow progress. The organisation produces an annual impact report outlining the work they have done and the change they have helped to make in local people’s lives. To illustrate the point Keith mentioned that the Rainbow Centre was referred to in Friarage Primary Schools Ofsted report showing the impact it has on local children’s lives. Dealing with the type of clients the centre has on its books is not easy, especially getting them to keep appointments, particularly if they do not have any means of transport. So the centre arranges a free breakfast every month and other agencies attend giving their clients the opportunity to sort out their current problems whilst being there. Both Keith and Trish finished by thanking the club for the support it had received over the years, making the point that without this type of assistance they could not do what they do as effectively. There is no doubt the passion and commitment both Trish and Keith have for the job they do and the town has to be so grateful for the invaluable contribution Rainbow makes to people’s lives in the local community. As the centre’s slogan states, they certainly do “support, uplift and encourage”. 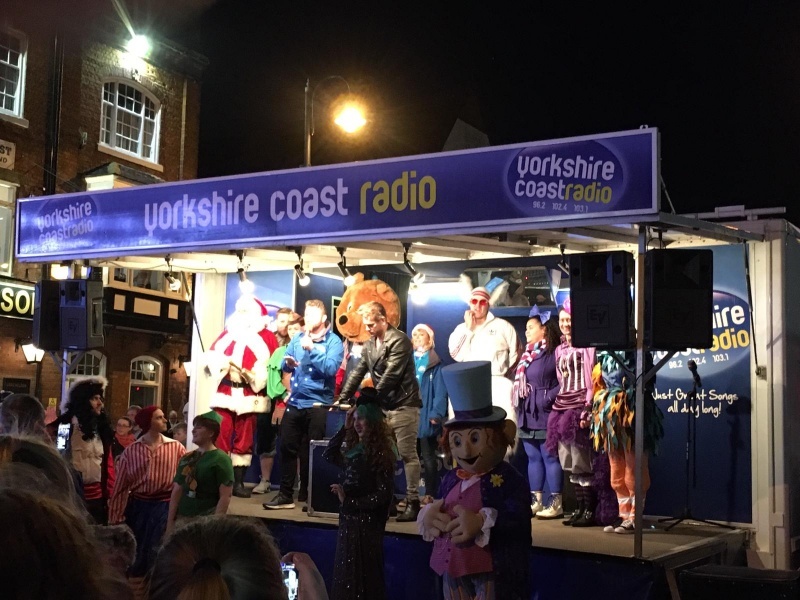 Help with stewarding “Countdown for Christmas” on the foreshore on Sunday evening 18th Nov. Good crowds - good show by Yorkshire Coast Radio near the lifeboat station – Emmerdale star visit – convivial atmosphere and spectacular fireworks at 5.0 o’clock. Well done everyone! (It was not too cold either!). Collection at Morrisons on Friday 16th Nov raised enough to vaccinate several hundred children against polio. Still endemic in just two countries – eliminate there - and the disease is gone for ever. Fantastic project!! In the semi-arid far north of Ghana the dry season is eight months long, meaning that the growing time for crops is only four months. Tractors owed by city dwellers are used first on the local farms of absentee owners and only then become available for hire. The men of the communities are given priority to hire and consequently, when the women’s turn eventually comes, it is too late in the season to sow. To grow anything, women have to cultivate by hand from the start of the rains; inevitably they cover only small areas and reap small harvests. The KVIP is a latrine block suitable for schools in areas where water is in short supply. If constructed and used properly they are odourless and attract, then trap, flies. Waste is digested into the earth over time. Any rainwater is collected into a polytank for hand washing. Scarborough Cavaliers and Scarborough Rotary Clubs raised £5,000 to pay for a KVIP in 2011 at the recently constructed Gbantana School by our partners Ghana Outlook. Two members of Cavaliers took part in commissioning the toilet block and were greatly honoured by being enstooled as honorary chiefs of Ada. In many areas of the World, annual drought is so severe that rivers run dry. If there is a depth of sand in a river bed and if it is underlain by rock or clay, a sand dam could provide an all- year- round abundant supply of water even in these situations. The Scarborough Cavaliers Rotary Club funded and supervised construction of a sand dam in the far north of Ghana. To build the Kpaloworgu dam, the community dug a deep trench across the river bed until the bedrock was reached, then built a concrete wall on the rock and up to the surface of the river bed; then back-filled with the excavated sand. Next rainy season the river saturated the sandy river bed both upstream and downstream of the dam wall but, when the rain stopped, the river bed upstream of the wall retained its water in the sand (up to 50% is water). The water can be extracted by scooping for domestic use and for irrigation of land on each side of the river. The water is filtered by the sand, does not evaporate and is inaccessible to mosquitoes. Sand dams require no maintenance and, as water is extracted, it is replenished by water running through the sand from the catchment area. Now in its third year, the effectiveness of the Kpaloworgu sand dam has grown. It not only provides a rechargeable source of water throughout the year, the river flows again quickly following any rain because the sand upstream of the dam is already saturated and cannot adsorb more. The picture shows the river in full flow even at the height of the dry season. Crops of beans and spinach are grown on both sides of the river is what was previous arid land. The remote community of Kwamoso in Central Region, Ghana, consists of numerous small farming groups dispersed amongst 8 foot high Savannah. Their water supply is from pools and swamps within the Savannah. The plight of these people was seen by Scarborough Cavaliers’ local partners and brought to our attention. Two Aquabox Community Filters were supplied early in 2018 and are rotated around the small groups, giving safe water until a permanent borehole can be sunk in the centre of the spread out community. After the borehole is installed, the people will retain the easily portable filters for use when groups walk to work on their farms. 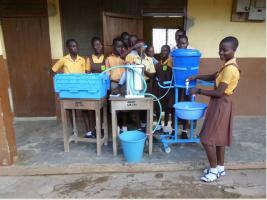 Schoolchildren at the Krowadaso Senior High, Junior High, Primary and Kindergarten schools do not have safe water. The borehole close by has been overused for many years by the 800 students and nearby community; the only source of water is the river. A new borehole will cost over £4000 and it will be some time before funds are available. An Aquabox Community Filter can deliver up to 300 litres of safe water per hour and, if the filter is back-flushed every day, will last many years. One has been purchased and installed by members of the Rotary Club of Scarborough Cavaliers at the school complex. This means that every child and staff member can have safe water to drink at anytime until a borehole can be sunk. The women’s farming groups in Upper West of Ghana can now farm effectively using the tractor available to them for hire, but the dry season remains a long period of inactivity. Members of the Rotary Club of Scarborough Cavaliers have helped to introduce bee keeping in some areas and is proving highly successful, bringing much needed income for desperately poor communities. Boreholes will last indefinitely if they are managed properly. They rely on tapping water from a deep aquifer which must be allowed to recharge between periods of extraction. Usually, a management committee of women is set up to chain up the borehole except for 30 minutes to one hour in the morning and late afternoon. They also ensure that only women from the community are allowed to pump water. Women will walk miles to collect water from an unsafe source so a borehole would be quickly exhausted if freely accessible to everyone. 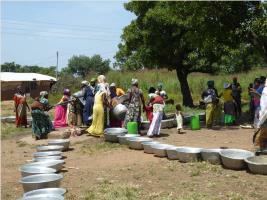 Water is valuable and women will line up and stake their place in the queue ready for the borehole to be unchained. The annual eight month long period of dry, followed by four months of high humidity, have devastated all the desks at the Kpaloworgu Primary School. The wood used in the state-supplied furniture was unsuitable and cracked and collapsed within a few years. 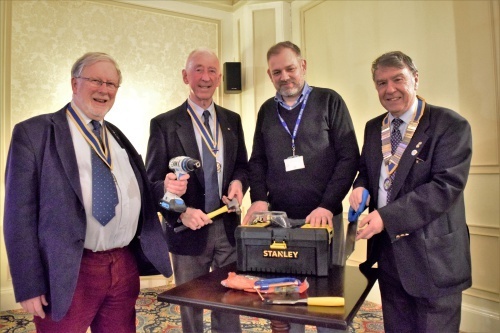 Members of the Rotary Club of Scarborough Cavaliers are helping to fund 200 double desks, made locally of Wawa fine-grained hardwood at £16 per unit. Great talk on October 1st at Scarborough Rugby Club by David Bream a volunteer ranger at the North Yorkshire Moors National Park. The Park was Founded in 1952, covers, 554 sq. miles and has 445 Active Volunteers. The volunteers are organised in over 20 Groups, including for example, working in the Visitor Centre; Gardening (Danby-Thornton le Dale); Young Rangers; Administration; Water vole surveying; Land of Iron project and First Aid. 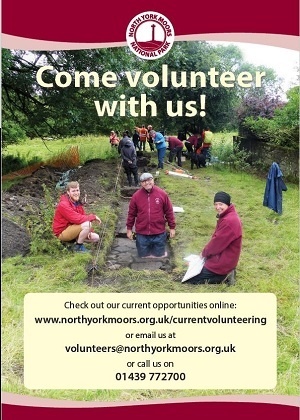 The volunteers receive appropriate training on the aspects of the work they are to be involved in, for example; Stile design and construction; Boardwalk construction; River and Flood Awareness; Ditching and Drainage; Daffodil Path Maintenance. The Rotary network extends all over the world with headquarters in Chicago. In the UK all clubs are under the umbrella of Rotary in Great Britain and Ireland (RIBI), and are grouped into geographical districts. 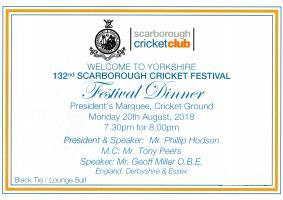 Rotary Club of Scarborough Cavaliers is within district 1040 covering Yorkshire, Humberside and North Lincolnshire and having over 100 clubs and 3,000 members. A shared mantra is the aim of "Service above Self". In practice this means individual clubs working to contribute to their local community often supporting local causes financially or 'in kind' with practical help, for example, acting as a trustee. Influence can be spread farther afield by working in co-operation with othe clubs in the same geographical district and indeed on an international scale by contributing towards worldwide projects (led by Rotary Foundation) - perhaps the most well known of these is the campaign to eradicate polio. Rotary have been a leader of this aim for many years. 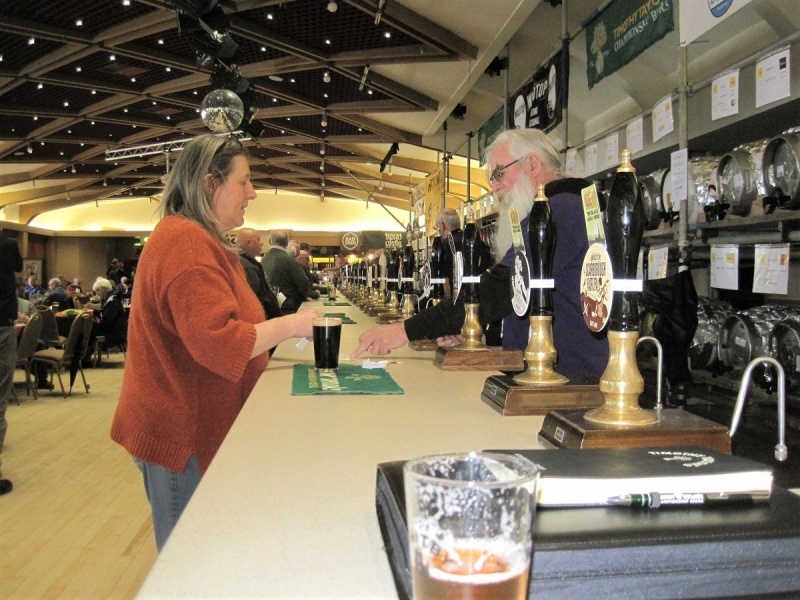 Our major fund raising (and fun) events are Community Fair, Dragon Boat races and (recently) tombola/games at the CAMRA Real Ale Festival. Other events (focussing on youth and in liaison with other local Clubs) include Youth Speaks, Technology tournament and Young Chef. We are holding a special event in the spring of 2017 to raise funds to contribute towards the last push towards eradicating polio from the world. Introduction: Scarborough Cavaliers - What do they do? Never have been never will be. A new member is formally introduced to the Club and says a few words if they wish. All new members are just asked to give a short talk about their work &/or hobby interests, at an agreed date. Very welcome indeed at our Club, although there are still more men than ladies. Do I have to pay to be member? Yes. There is an annual subscription plus an optional donation to the Rotary Foundation (funding larger international projects). Plus we need to pay the Downe Arms for feeding us !! Do you need to come every week? No. Come when you can and contribute when you come. Contact the Secretary, or another member and come along to a couple of meetings as a visitor; then give us the nod if you want to find out more. 'Smart casual' - interpreted by menfolk as jacket but not necessarily tie. Usually - Downe Arms, A170 @ Wykeham. Sponsored walk to support Ghana water projects. SEE full details under "EVENTS"
Concert led by Gail Hartley at the Downe Arms.